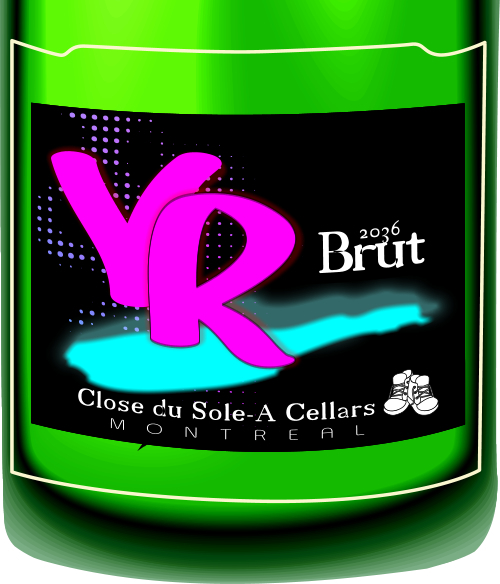 Clos du Sole-A Cellars – Montreal is the improbable adopted home of the LA gang ‘Gym Shoe Crew’. Their specialty is a Méthode Champenoise sparkling Brut, honoring the timeline of gangsta tastes beginning with Courvoisier, on to Cristal, to the flava-fave du jour, Moscato. Vin du Rap, their top offering, is sick, creamy, lightly toasty, bustin’ rizzle citrus zest, pear and yeast notes sub-thumpin’ the fruits and acidity forward into a bumpin’ flow…Dawg! “VR” as it’s called, is sold in two-bottle shrink-wraps, called ‘Tu-Pacs’. Each vintage includes a barcode on the package that downloads a background dub track that autoplays on your smartphone. Bloomberg Estates – A novel sight in recent years has been the proliferation of Merlot vines climbing the exteriors of New York City skyscrapers. The vines are rooted in special Landmarks Commission-approved suspended pots, tended by retrained window-washers. The wine, however popular, is not available for most people. It can’t be displayed for sale in public, and may only be drunk out of registered, net 4-ounce glasses provided by the New York Wine Department. These are issued on loan only to those providing a personal genome map confirming no interest in large-portioned soft drinks, firearms, tobacco products, parking violations, fatty foods, or tendency towards addictions of any type. That aside, NYWD feels soft and velvety and imparts long-lasting impressions of black cherry, lively spice, spring cherry blossom, roasted chestnuts and Sabrett, with autumn leaves and smoky infant-formula subway notes. 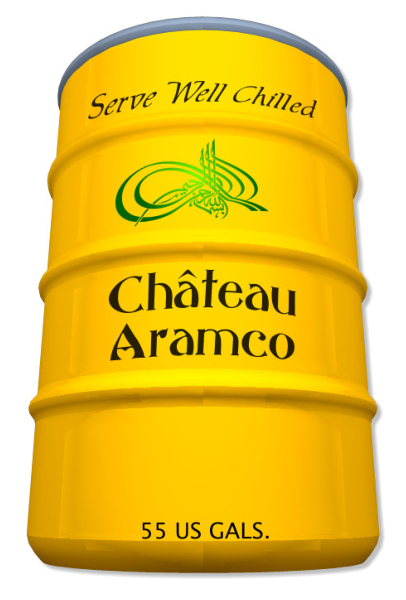 Château Aramco – World wine climate change allowed Saudi Arabia to enter the business precisely at the time it needed to help offset declining oil revenues. Religions of the peninsula prohibit consumption in the region, hence it is sold only in unbranded, 55-gallon barrels. Their superior Pinot Grigio expresses balanced acidity, spice, fresh peach and hints of sweetness tempered by low notes of lemograss couscous. Petroleum distillates in the unfiltered groundwaters that irrigate the vines combine with the fermentation spirits, adding a piquancy that reduces knock and carbon build-up. Château Neutron-Rothschild – The Kazakhstan owner of this legendary French vintner has moved the brand to the Kazakh Steppes of this top uranium-producing Central Asian republic. Their Bordeaux-style Muon Cadet accelerates with perfection from bone-dry tannins oscillating charged particles of black figs, chocolate, plum and dark matter. Worthy of its own designation on the Periodic Table, and the tables of fine restaurants and wine-loving particle physics labs everywhere. dripdrop wines – Advances in hydroponics have allowed this vintner to produce its newest brand within the Arctic Circle. There, they take full advantage of the superior fresh waters running from the melting polar cap, and the unique growing season offered by the midnight sun. Idle Polar Bears have been retrained to sport beach gear and crush grapes with their ample paws. They produce a superior i-chardonnay with crisp notes of minerality elevating complex layers of buttered scones, honey, seal-flipper zest, and creamy shellfish lees. 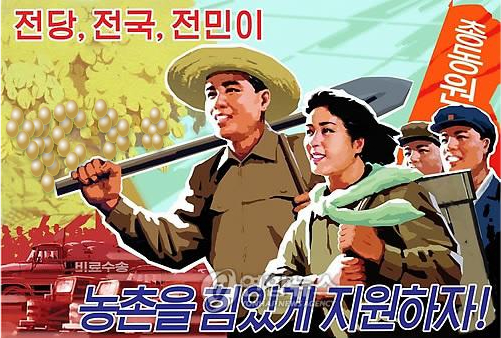 Let’s Extensively Grow Wine Crops in Glorious Cities of the Fatherland Vineyards – Presenting a new, non-militaristic posture to the world, North Korea’s bumper crop of Muscat grapes have been rated as some of the best ever. The vineyard’s premier label, Haengbokhan-Shi-Gongbum (‘Happy City Accomplice’) of smooth, ripe scents of rancio, smoked meat, munbae, lead pencil, moist earth and vanilla cream proclaim a wine with a decadent gravitas. A special vintage begins each year on the Day of the Shining Star, with select 1,000 pound payloads of Muscat clusters lifted into sub-orbit aboard decommissioning ballistic missiles, the gravitas of splashdown in the Yellow Sea effectively mashing the grapes. Commemorative vintage offered in bottles modeled after Unha-3 rocket boosters.